No other flower has quite the mystique or reputation that the tulip has. The tulip is capable of exciting emotions in a way that no other flower ever has. After being brought from the Ottoman Empire to Europe in the 1500s, they became such a popular and coveted item that a brief frenzy of speculative madness resulted, in which people paid outrageous prices for a single bulb. When the bubble burst, prices collapsed and many buyers were bankrupt, but the reputation of the tulip as a flower that could stir passions was forever cemented. The tulip is a member of the lily family of plants (Liliaceae) and its Latin name is Tulipa. The tulip is perennial plant which is grown from a bulb which normally produces a single cup-shaped flower. There are over 3,000 varieties of tulips to choose from in a rainbow of colors, including red, pink, yellow, orange and purple. 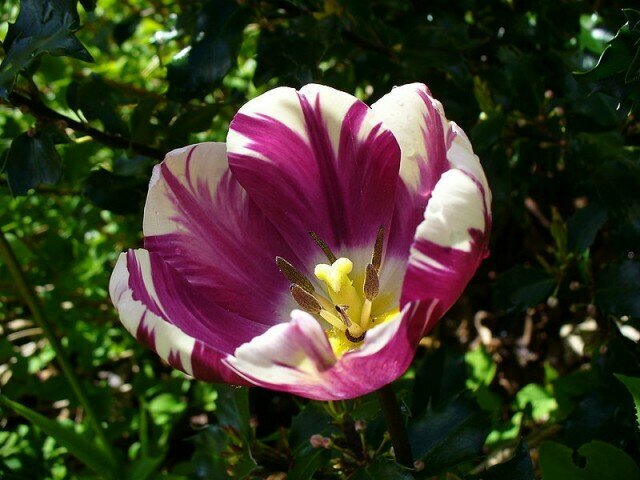 Some popular varieties include Parrot tulips, Rembrandt tulips, Darwin hybrid tulips, and Triumph tulips. There are varieties that bloom in early, mid-, or late season, so a careful mixture in your garden can ensure gorgeous blooms over several months. 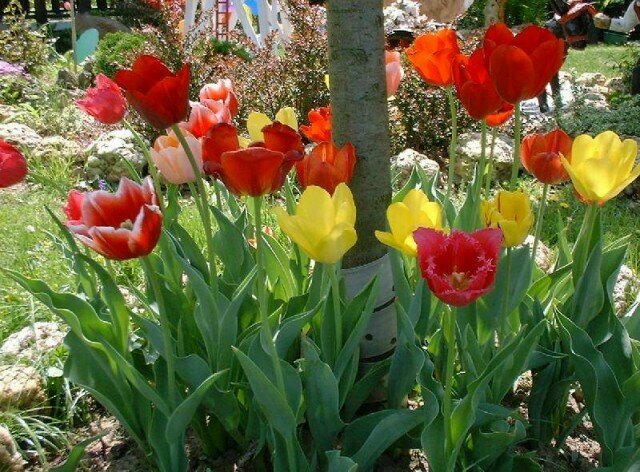 Planting and maintaining tulips is relatively easy. They prefer good, well-drained soil, and should be protected from squirrels and other garden pests. After blooming, the plant should be allowed to die back naturally. The bulbs require a period of cold weather during which they are dormant. If you live in an area where the weather does not turn cold, you should dig up the bulbs and store them in a cool, dry place until the next planting season. If you choose not to dig up the bulbs, plant them at least 12” deep to keep them cool during warmer months.